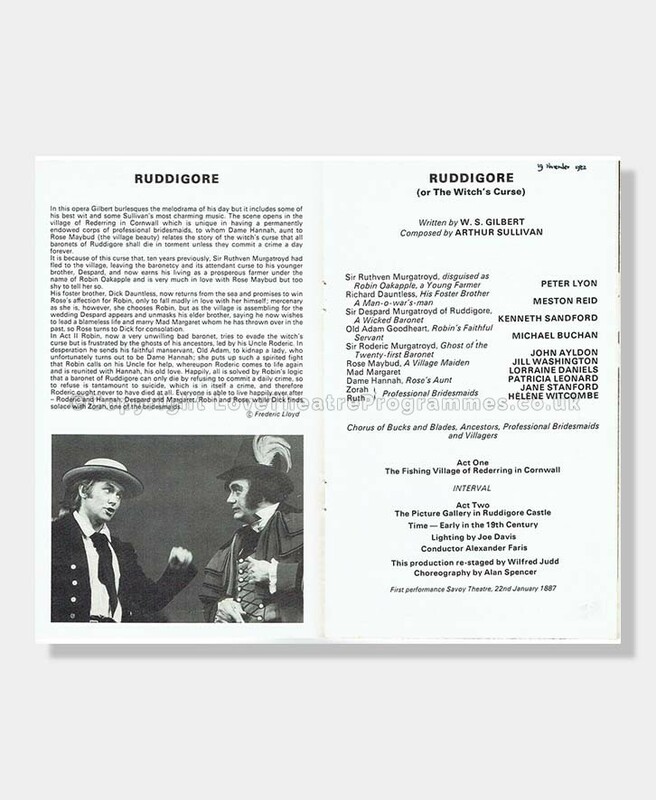 This informative theatre programme is for the performance of three Gilbert and Sullivan comic operas: Ruddigore, H.M.S Pinafore and Iolanthe, performed by the D’Oyly Carte Theatre Company in 1982 at the Adelphi Theatre. 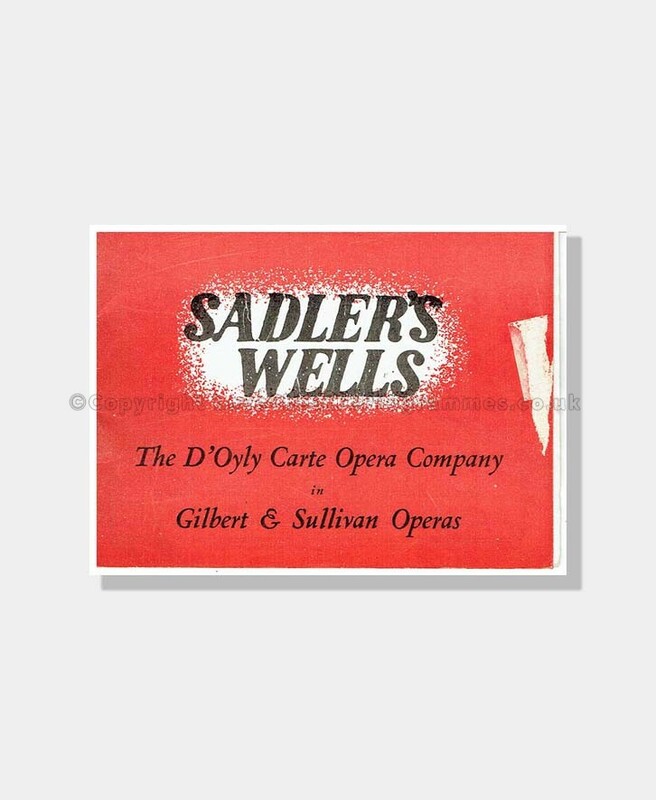 The programme has interesting illustrated advertisements including a marvellous illustration of characters from ‘The Sorcerer’ and a little poem advertising Barclays Bank who were the primary sponsor for D’Oyly Carte performances. 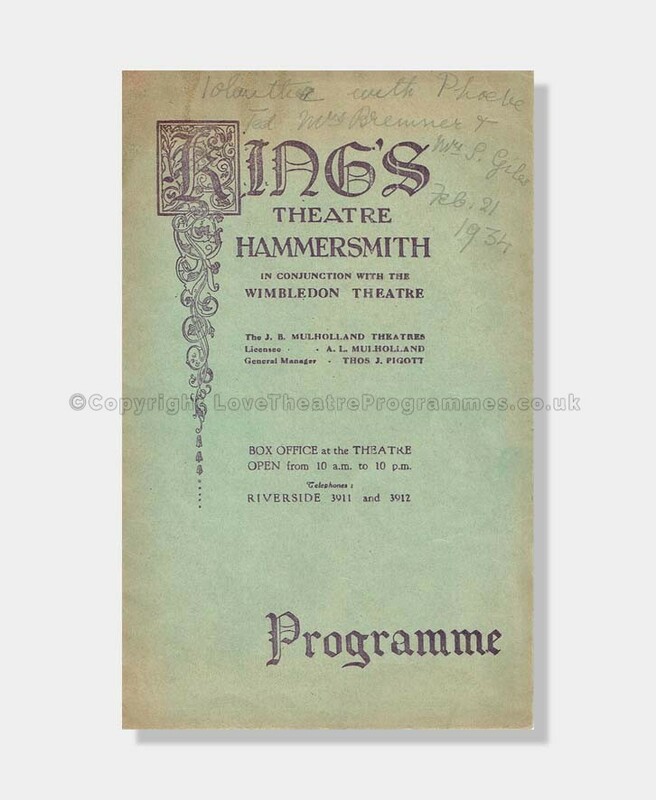 There are various photographs dotted around the programmes. 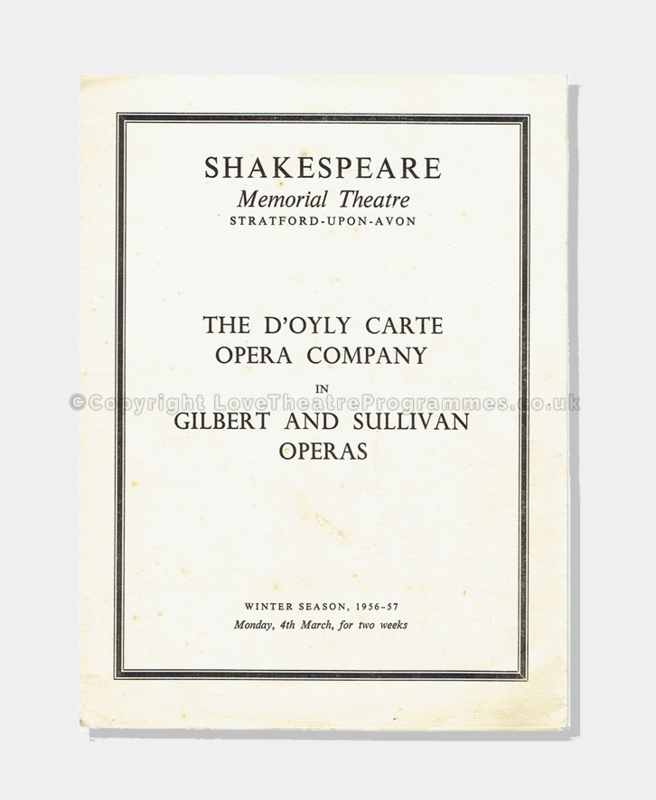 The cast list for the performances are presented across pages 13,15,17. 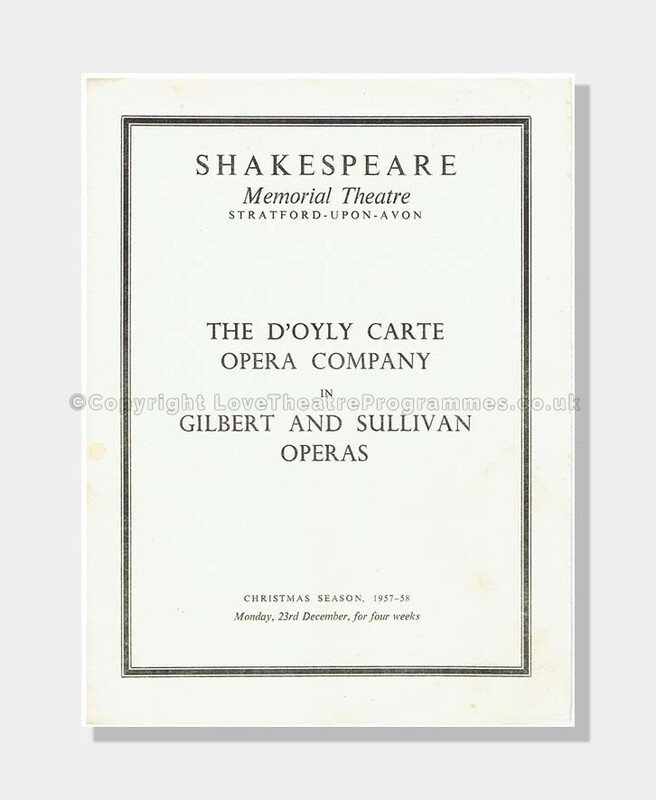 There are also many articles printed in this magazine programme including cast biographies and the history of Gilbert and Sullivan operas. 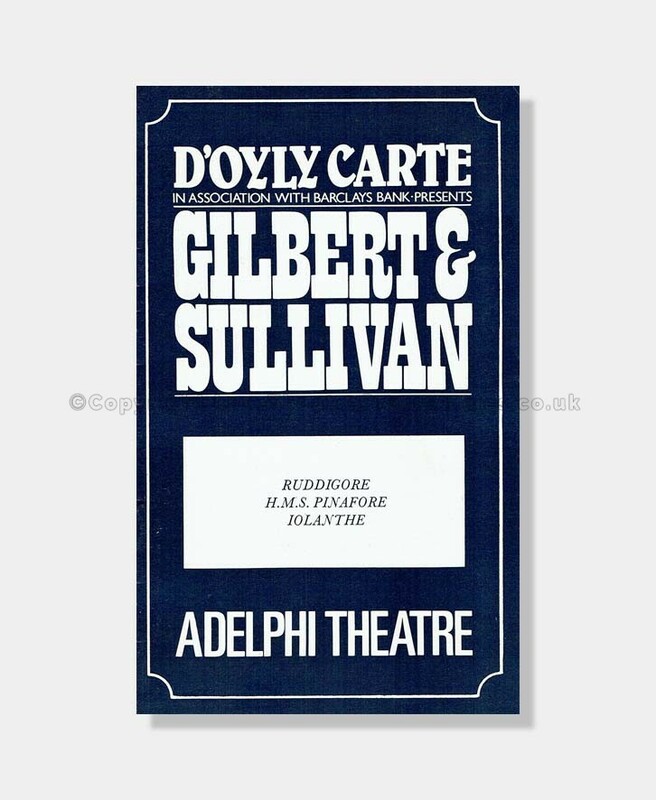 Gilbert & Sullivan were a prolific and successful two-man team who created fourteen comic operas together over a period of around 25 years. 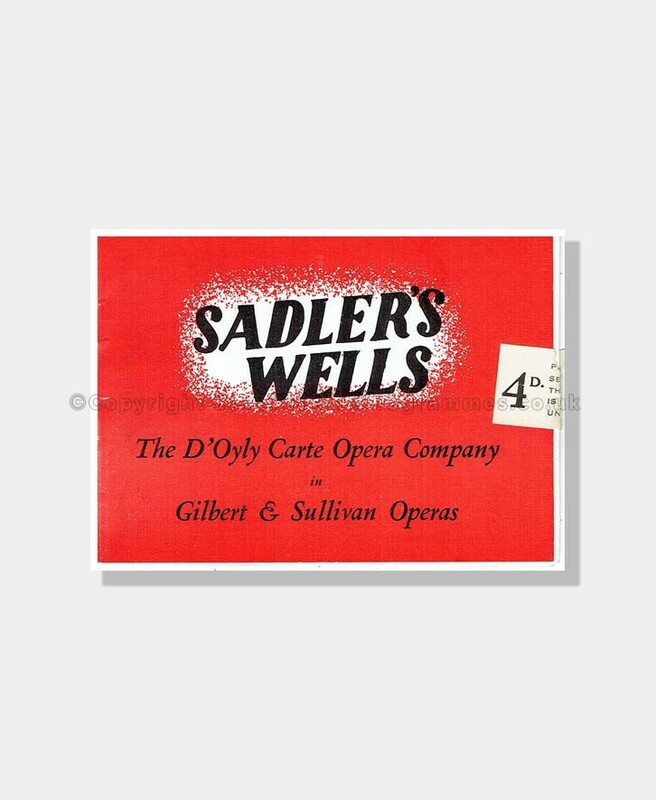 William S. Gilbert, born in London, (1836-1911) was a successful lyricist, poet and illustrator. 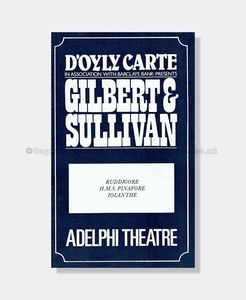 Arthur S. Sullivan was the composer, also born in London, (1842-1900), the son of a military band master. A date notation has been written on page thirteen, presumably by the original theatre-goer. 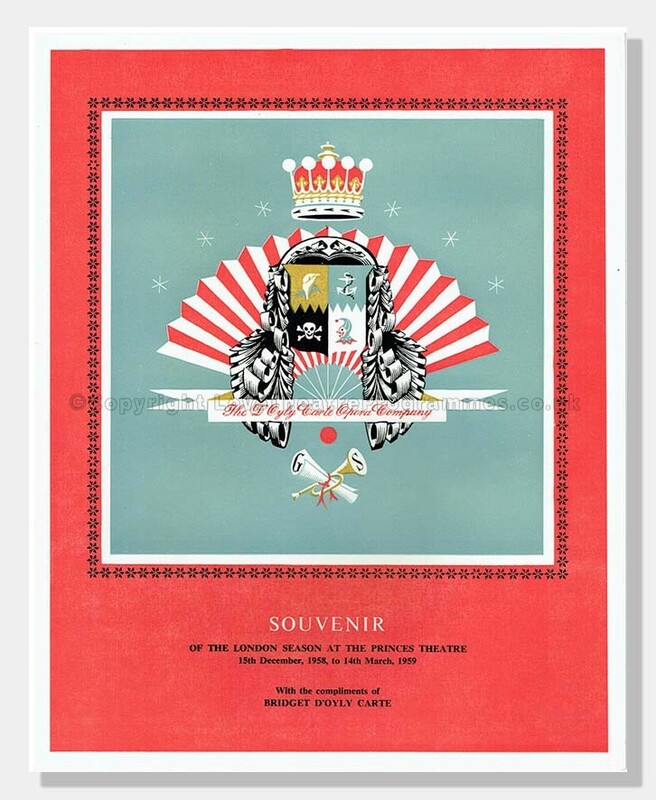 The programme is made up of 28 pages including front and back cover pages. Approx. H22cm x W13cm. Condition Code: 4-5: The original staples remain and pages firmly secured. The programme has no evidence of foxing. No tears or folds. 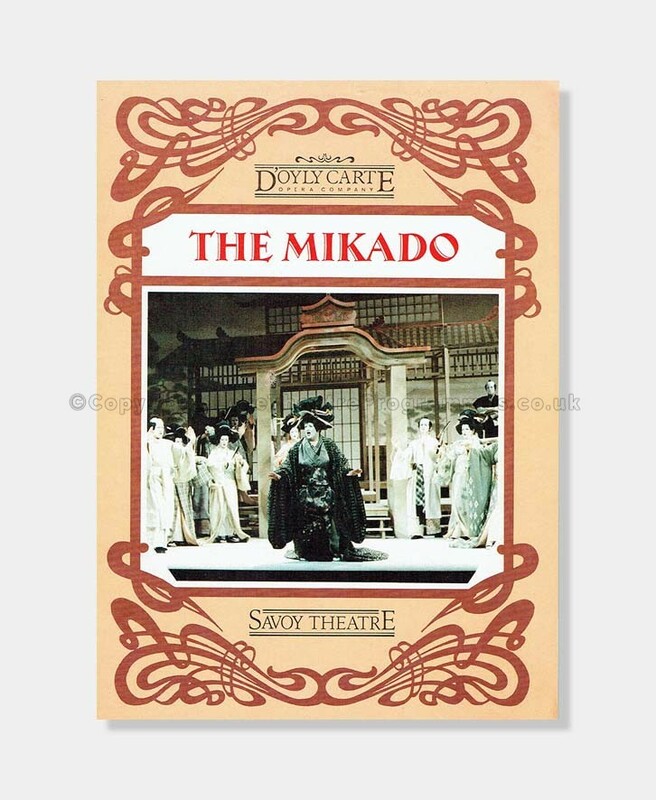 Overall the condition of the programme is in very good for its age. 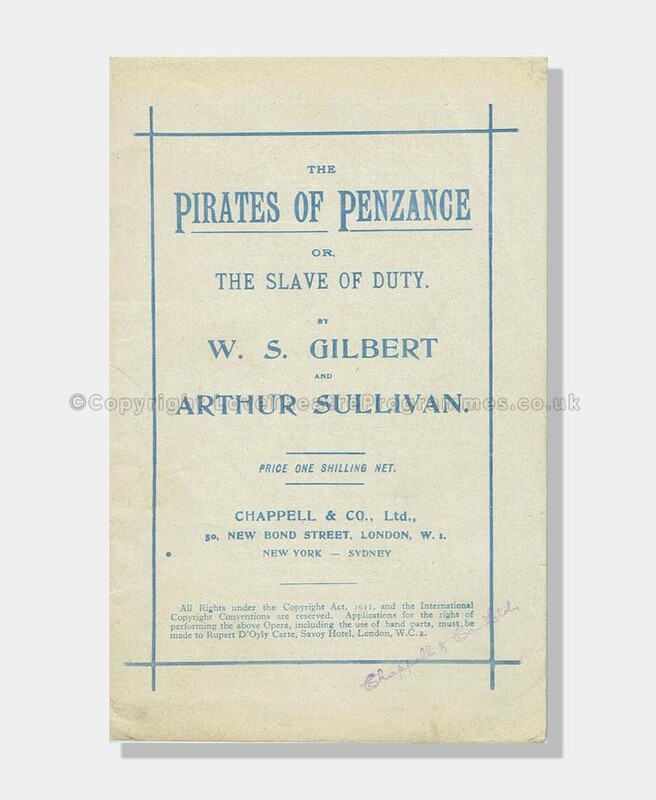 Publication: Lyrics of Pirates of Penzance or Slave of Duty by W. S . Gilbert and Arthur Sullivan.